Sometimes your body doesn't need oatmeal. Or a banana. Or Grape-Nuts with almond milk. Sometimes (most times?) 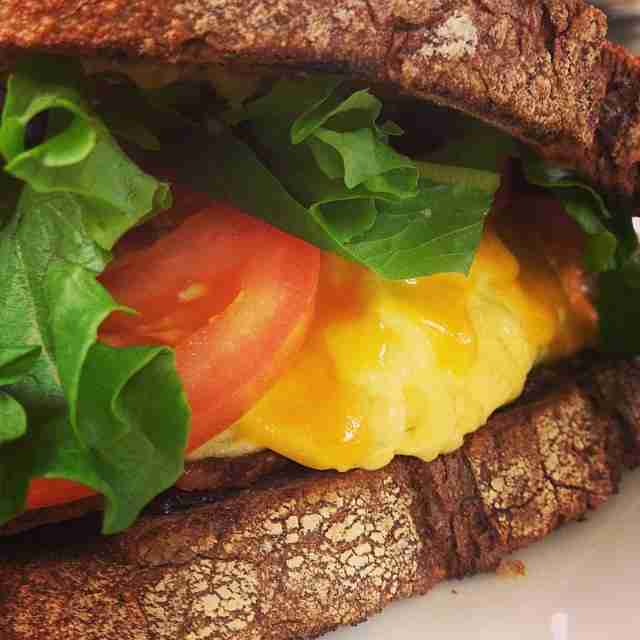 your body needs one of the best breakfast sandwiches in all of Chicago. Get ready to feel 99% less bad. One bite of Nightwood’s bagel sandwich and you’ll wonder how you ever survived on other versions. The Pilsen favorite puts its own spin on things by mixing cream cheese with Rushing Waters smoked trout and smearing it on a bagel along with bacon, an over-easy egg, and slaw. 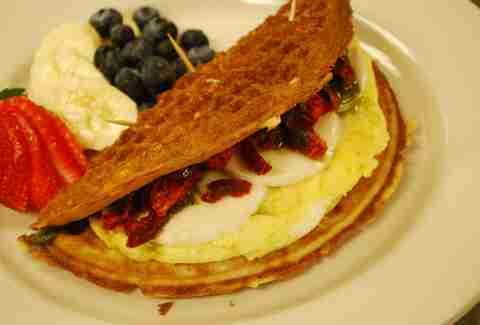 Since it’s only available during Sunday brunch hours you’ll have to plan ahead, but you’ll be glad you did. 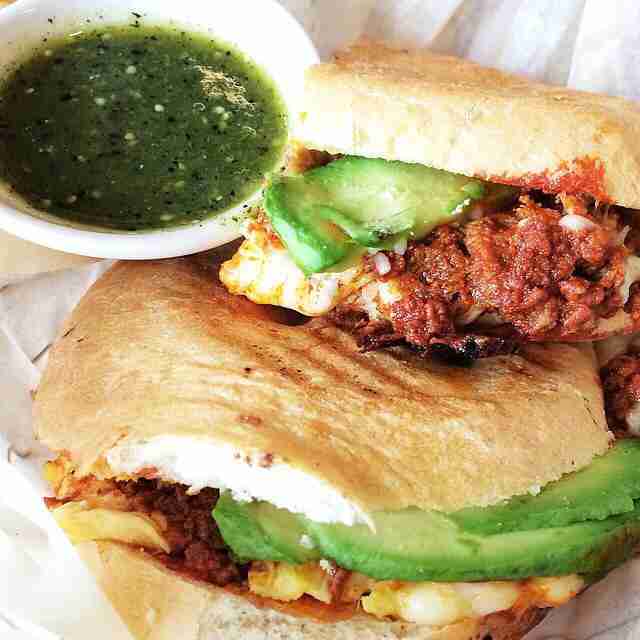 Rick Bayless has mastered the art of the torta (Mexico's flatbread-ier version of a breakfast sando) and he shows that off like a mother at XOCO, which -- from 8-10am -- does a chorizo-egg torta loaded with scrambled eggs, pork chorizo, poblano rajas, Samuel’s cheese, and avocado. 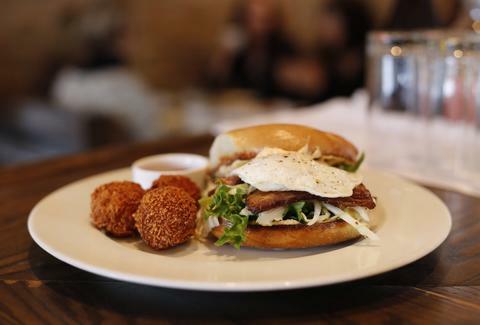 North-siders flock to this Andersonville brunch spot for locally sourced and organic dishes that use seasonal ingredients, including one item you’ll always find on the menu: the Fannie’s Killer Fried Egg Sandwich. 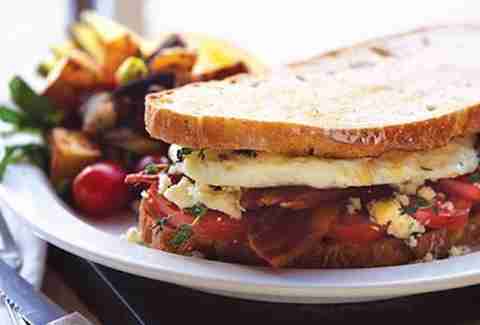 Two over-medium eggs, a plethora of applewood bacon, sliced plum tomatoes, Gorgonzola, and thyme are layered on crisp, toasted sour boule bread. 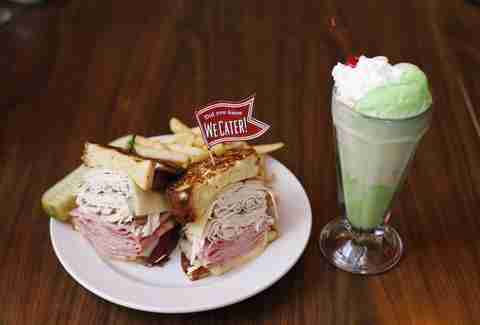 ECD's version the Monte Cristo -- a variation of the French classic croque monsieur -- is stacked high with deli meat cut to order and sandwiched between crispy challah dipped in egg batter and pan fried. It's a hearty and rich French toast concoction that’s enough to re-pass you out. 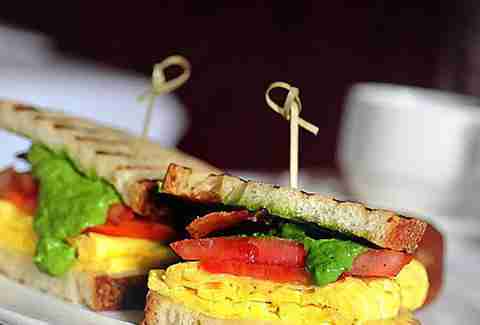 Although it’s best known for a quality selection of beef, Chicago Cut also offers a tasty breakfast sandwich piled high with scrambled eggs, applewood bacon, white cheddar, tomatoes, and an arugula pesto between slices of toasted sourdough bread. 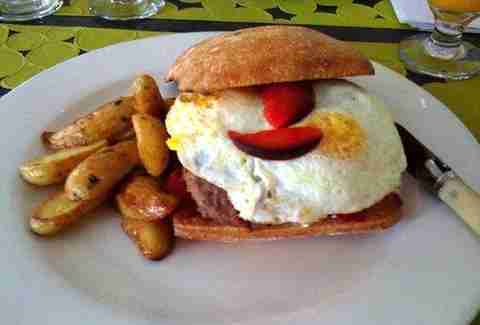 For $10, it’s an excellent, unexpected bargain at one of Chicago’s finest steakhouses. A heap of pulled pork shoulder and over-easy eggs share between-bread space with a ricotta salata and plum preserve spread on a bollo roll. 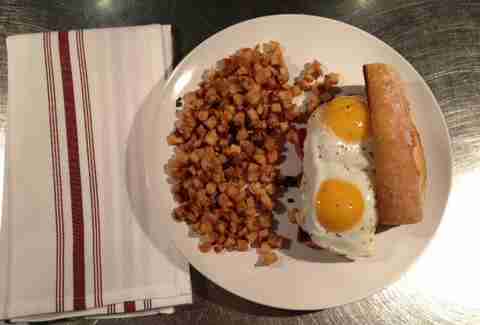 Good luck eating this egg "sandwich" with your hands. Pro tip: bring cash. Yup, fried chicken for breakfast. 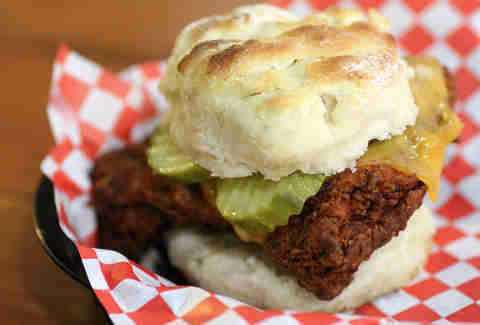 The Nashville Hot Chicken from The Roost -- one of Chicago's top restaurant openings this year -- gets floated on a buttermilk biscuit in the Ali breakfast sandwich, which also packs a fried egg and dill pickles. Oh, and if you're still not feeling awake, this should help with that, too: the chicken is coated in a fiery, sweet cayenne paste. Bakin’ & Eggs does a Chicago rarity: a breakfast BLT, adding eggs any way you want ‘em to the traditional bacon-lettuce-tomato along with cheddar, and a walnut and basil pesto mayo. This Irving Park spot puts a breakfast twist on the Vietnamese staple, replacing the usual banh mi-gredients with pork belly, ham rillettes, kimchi, fried eggs, and hash browns. Important timing note: it's only available on the brunch menu served on weekends. This waffle-centric eatery loads scrambled eggs, bacon, cheddar, and mayo onto a Brussels waffle, turning it into a glorious Franken-breakfast-sandwich-taco thing. Exactly what it is isn't important, just the fact that it is... is. Jeffy Mai is a freelance writer who will make the entire table wait while he photographs each dish. Three times. Follow him @jmai.